For more than 65 years, Walter Keel Coolers have proven to be the most dependable, trouble-free and economical form of marine engine cooling; their rugged design and longevity are demonstrated through decades of service on US Navy vessels, US Coast Guard vessels, work boats, fishing boats, ferry boats, tug boats and pleasure yachts throughout the world. 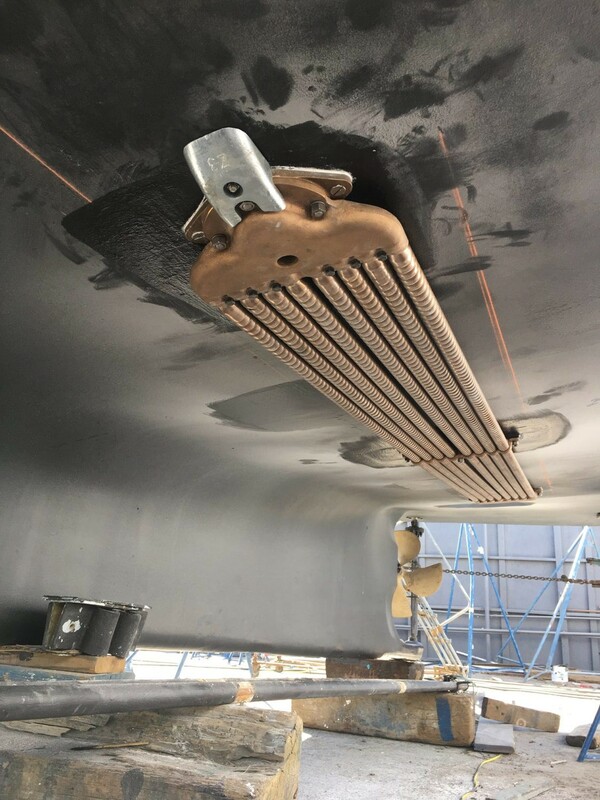 A keel cooler is a closed circuit cooling system mounted externally on the vessel’s hull below the waterline. Engine coolant is circulated through the keel cooler, which transfers heat from the coolant before it returns to the engine. Walter Keel Coolers are available in 3 models & hundreds of sizes to suit every application from 10 horsepower auxiliary engines to 5,000+ horsepower propulsion engines. End Model, Double Stem Model and Center Models to fit on every hull. 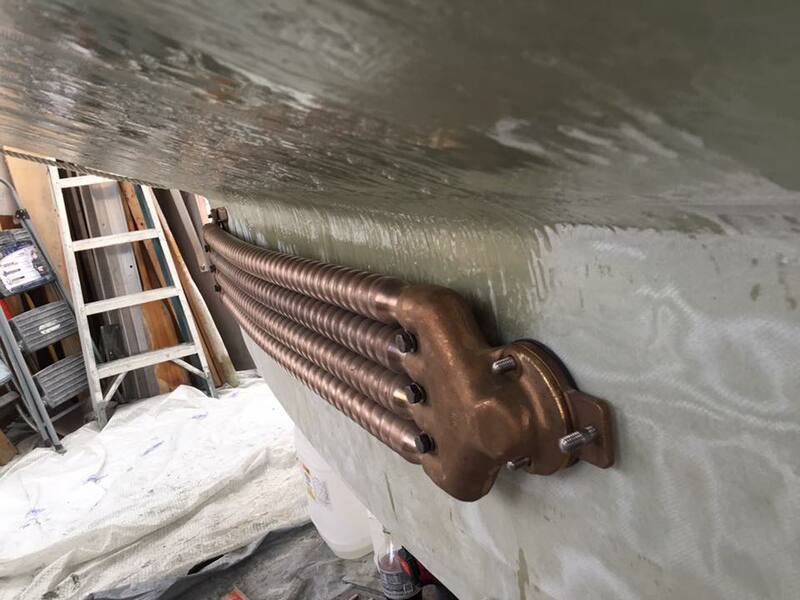 Designed with only one thru-hull fitting (containing both the inlet and the outlet), WALTER “End Model” Keel Coolers make installation fast and simple while greatly reducing inboard plumbing. 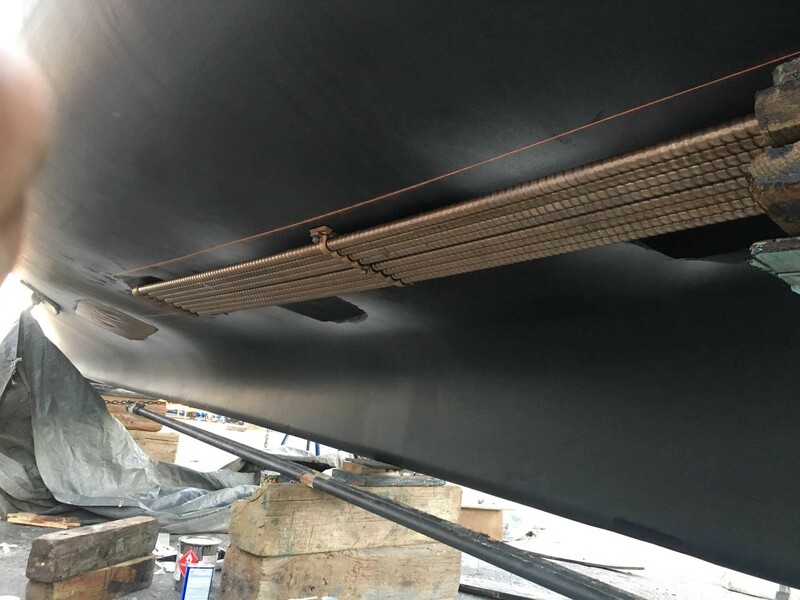 It’s no surprise that boatbuilders and marinas prefer WALTER “End Model” Keel Coolers. 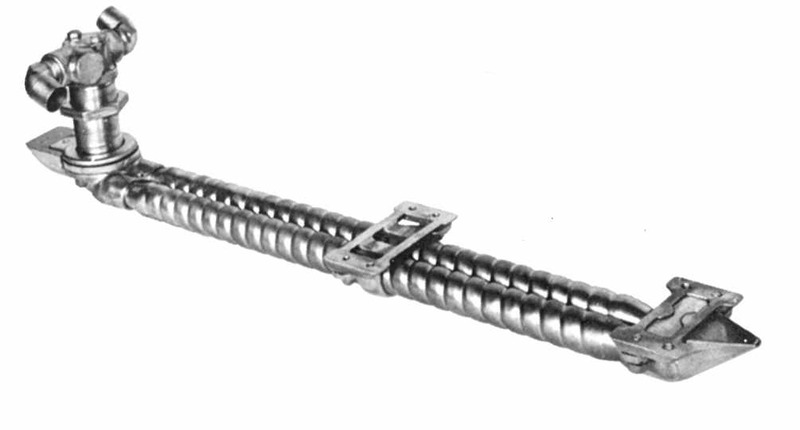 The single thru-hull fitting, located at only one end of the cooler, contains both the inlet and the outlet water connections. Available in 2, 4, 8, 12 and 16 tube configurations; the 12 and 16 tube coolers consist of a “double stack” to provide the maximum amount of cooling in the shortest assembly possible. 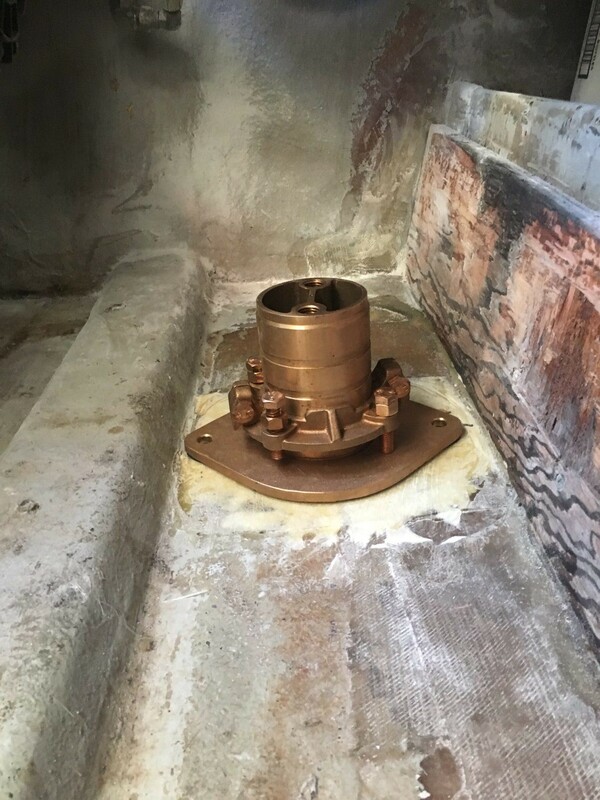 The most economical Walter Keel Cooler, “Double Stem” Models have two thru-hull fittings, one at each end of the cooler. 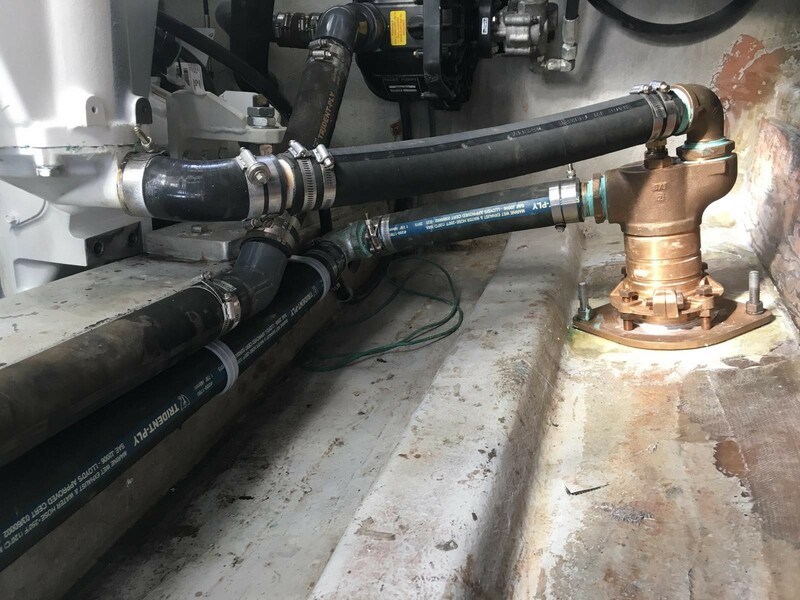 The thru-hull fittings have standard male pipe threads equal to the keel cooler size number for easy connection with standard pipe fittings. Available in 4, 6, 8, 12 and 16 tube configurations; the 12 and 16 tube coolers consist of a “double stack” to provide the maximum amount of heat exchange in the shortest and most compact assembly possible. 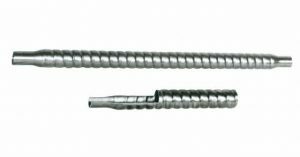 PREMIUM Walter Turbo Tube is made of cupronickel for the perfect combination of maximum heat exchange, maximum strength and maximum corrosion resistance. 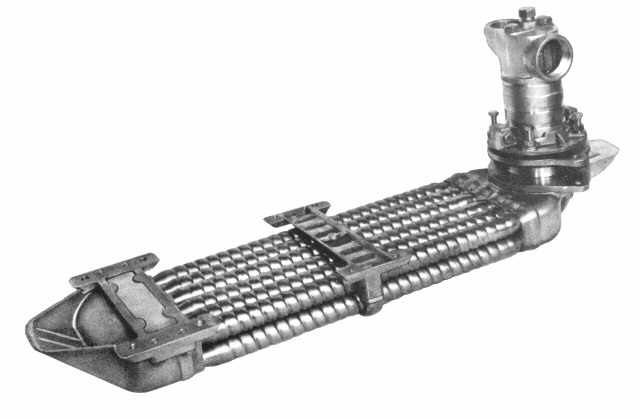 Turbo Tube has spiral grooves on the outer wall and ridges on the inner wall to continually propel and swirl the coolant against the inside tube wall where the actual heat exchange takes place. 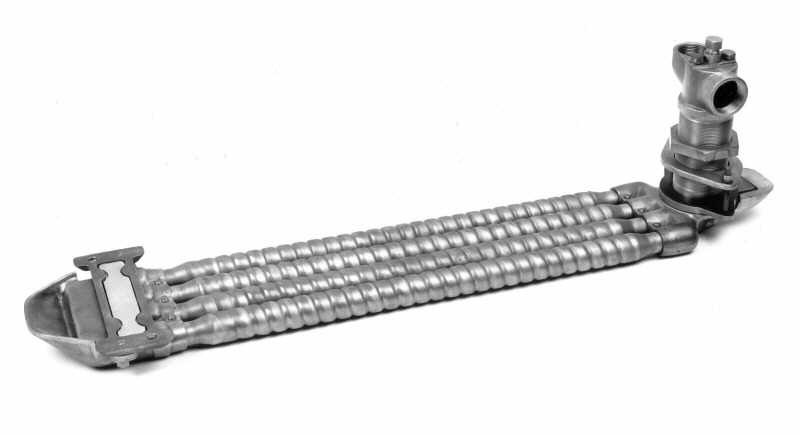 The unique TURBO or turbulating action allows Walter Turbo Tube to exchange much more heat than smooth rectangular or round tubes in which most of the coolant flows through the center of the tube without contacting the inner tube wall. Because Walter Turbo Tube is so efficient, a much more compact Walter Keel Cooler can be used.